If you’re looking to have the most enchanting tea time, then oh my Gaston, do we have the perfect flatware set for you. 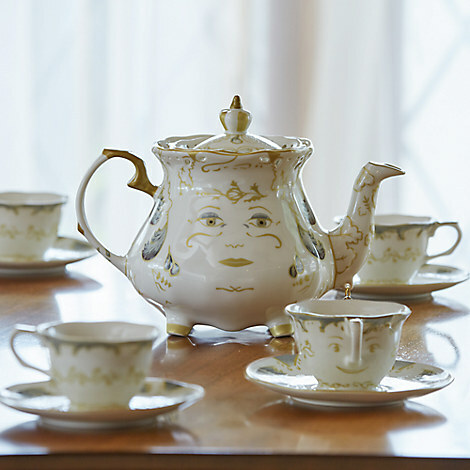 Disney has started rolling out some of their tie-in products for the upcoming live-action Beauty and the Beast movie, and while you can buy the usual things like t-shirts, clocks, and candelabras, there’s also now a Beauty and the Beast tea set — and this isn’t just any regular tale-as-old-as-time tea set. 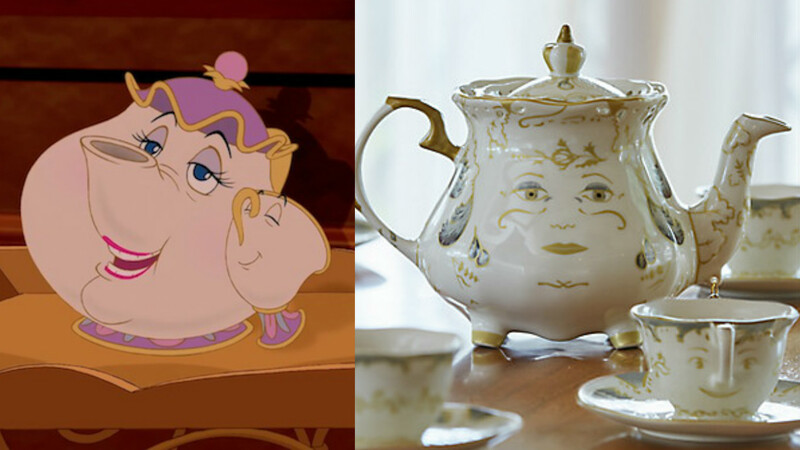 As you’ve known your whole life, from childhood to adulthood, Mrs. Potts is *the* best teapot, and the best tea cup is her son, Chip. For the new Beauty and the Beast movie she’s getting a makeover, and she looks quite posh and poised, circa 2016. If you actually want to take this new version of Mrs. Potts home with you, you can. The Disney Store just released the [deep breath] Beauty and the Beast Limited Edition Fine China Tea Set. In the set, you’ll snag a Mrs. Potts teapot, along with four teacups and saucers. And yes, one of the teacups is CHIP. The others are just, you know, regular tea cups, and I guess you can give them names if you want (we won’t judge). This tea set is considered ~fine china~ so it is only to be used for the most *special* occasions, like watching the 1991 animated classic, Beauty and the Beast (and/or any other Disney Movie), or entertaining some of your best friends. They will certainly agree to be your guest if you promise to make them hot tea in one of these darling cups. 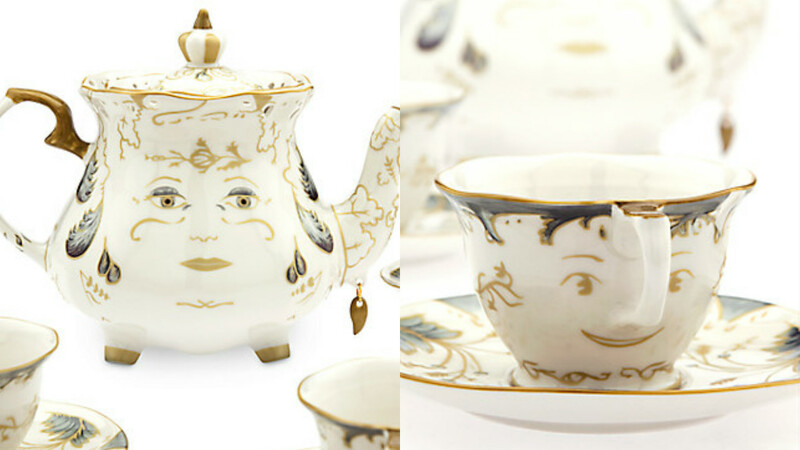 If you feel like you didn’t have nearly enough Beauty and the Beast-themed tea parties as a kid, this should be an instant-buy. Since this is a “special” item, there are only 2,000 of these sets out there, and they will go très FAST. The whole collection retails for $249.95 and you can snag it right now over on DisneyStore.com.